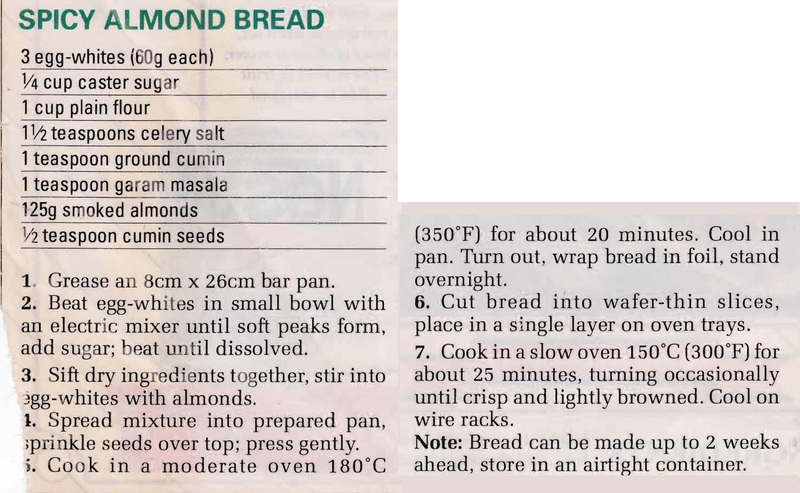 I’ve made the usual almond bread many times as it always goes well with coffee after dinner, but this spicy version looks good and would work really well with a cheese platter. This entry was posted in All Recipes, Biscuits & Slices, Uncategorized and tagged 1980s, cumin, egg whites, garam masala, smoked almonds, spicy almond bread, sugar by bebsrecipes. Bookmark the permalink.